Thunnus Thynnus, the Atlantic Bluefin Tuna (ABFT), is probably one of the world’s most recognisable and iconic pelagic fish species. Ecologically they are an important part of the marine ecosystem, playing a vital role as an apex predator. During the 1970s the popularity of Bluefin for sushi and sashimi dishes, particularly in Japan as they were emerging as a global economy, resulted in an economic phenomenon. 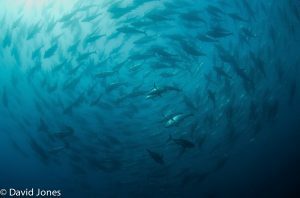 They became the mostvaluable fish in the ocean, contributing to a global tuna fishing economy of over US $40 billion. High economic value and demand, ease of capture, well known migration routes and spawning grounds in Areas Beyond National Jurisdiction (ABNJs) all resulted in ABFT rapidly becoming an over exploited and mismanaged resource that epitomised the ‘Tragedy of the Commons’ from a marine resource management perspective. 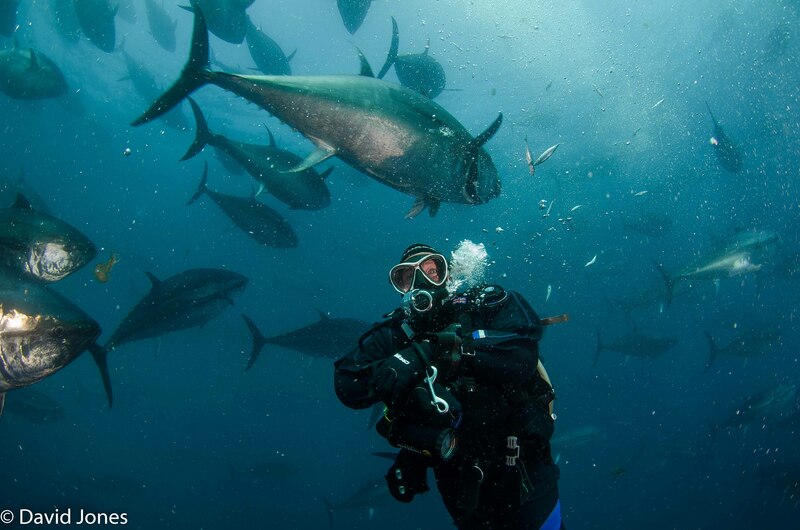 In spite of the existence of the International Commission for the Conservation of Atlantic Tunas (ICCAT), the species continued to spiral towards extinction until the implementation of a 15 year recovery plan by ICCAT in 2006. There is no doubt that this plan was introduced just in time. For the first eight years the recovery plan appears to have been successful. In the early 2000s the estimated Spawning Stock Biomass (SSB) of ABFT was approximately 170,000 tonnes. That was around 40% of the SSB in 1968 and was unsustainable. The 2017 estimates (undertaken in 2015) have shown an increase in stock levels up to 610,000 tonnes. 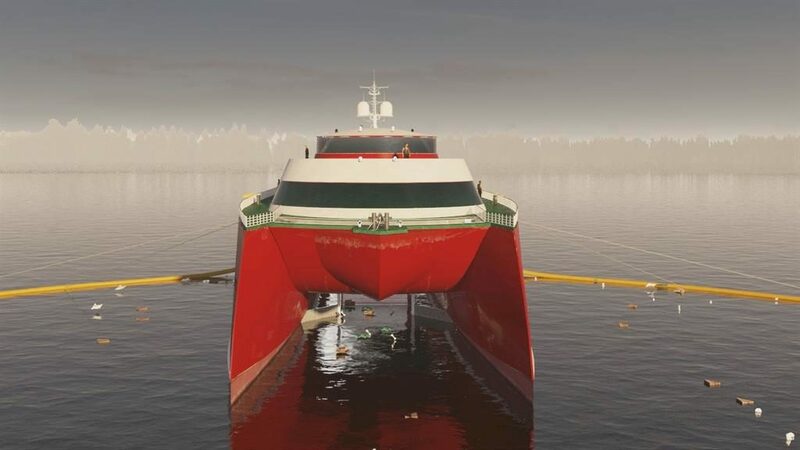 However, although the 15 year plan was due to run until 2022, ICCAT surprisingly reacted to the increase in stock levels in 2014 by agreeing to increase ABFT quotas by 72% over a three year period. This was contrary to scientific advice they had been provided with. 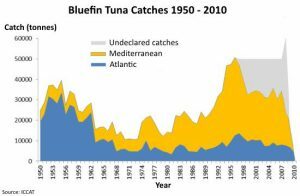 Given the continuing increase in Illegal, Unreported and Unregulated (IUU) fishing, that fact that many fishing fleets still have an overcapacity in respect to their Total Allowable Catch (TAC) quotas and the uncertainties surrounding the growth and impact of Tuna ranching, we are surprised that ICCAT have chosen to ignore the precautionary approach to sustainable fisheries management. It is something that they may regret in the future and we await the latest 2018 figures from ICCAT’s own scientific advisory organisation, the Standing Committee on Research and Statistics (SCRS), with an understandable degree of nervousness.